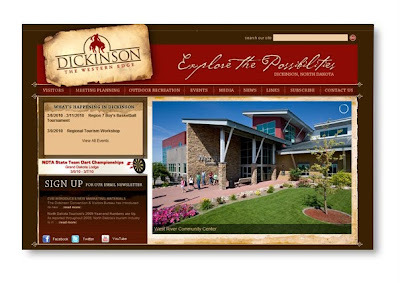 The latest web design, the Dickinson Convention and Visitors Bureau in Dickinson, ND. This design was done to coorespond to the collateral they had already developed. A recycle or a rip off?